Barbara A. F. Greene is the Founder and CEO of Greene and Associates, Inc. She provides services globally as an equity partner in Career Partners International. Based on a 99% referral rate, Barbara has developed relationships with diverse organizations, working across the enterprise. Organizations engage Barbara and her team for executive coaching, leadership development, corporate mentoring and career transition services along with other talent- and change-management solutions. Barbara has been an active member of the North San Antonio Chamber of Commerce. She is a Chairman’s Council member, served as the Business Leaders Club Chair, was involved in launching the CFO Forum and Leadership Lab as well as other initiatives, In addition, Barbara has been involved in in the Texas Diversity Council, Association of Talent Development, THRU Project, San Antonio Lighthouse for the Blind, City Year, and United Way Master Leadership Program. She is an ICF Master Certified Coach and has a MS. Degree in Counseling. 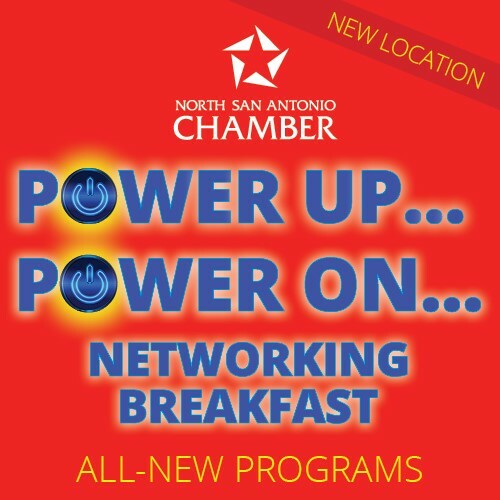 Power Networking and Breakfast: 7:00 a.m. - 9:00 a.m.
North SA Chamber Members: $22.00 (before early-bird deadline, April 6, 12:00 Noon) $25.00 after deadline date. Non - Members: $30.00.